1944, No. 41 (March 28). - 4 c. .
1. The people (the collection). 2. 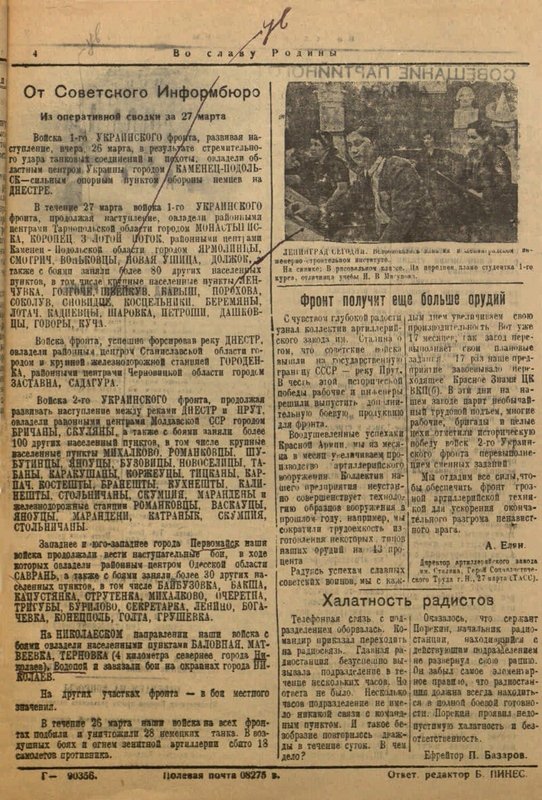 Memory of the Great Victory (collection). 3. 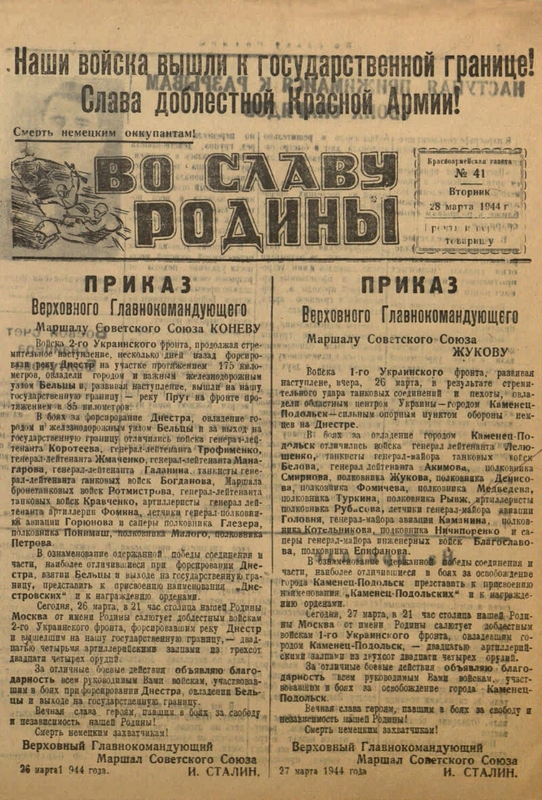 The Great Patriotic War - Military operations - 1941 - 1945 - Periodicals. 4. 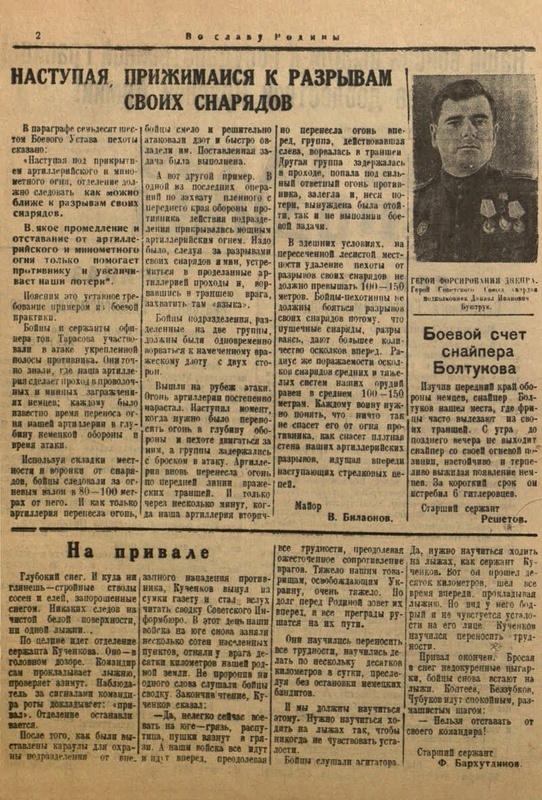 The Great Patriotic War - Heroes and heroism - 1941 - 1945 - Periodicals. 5. 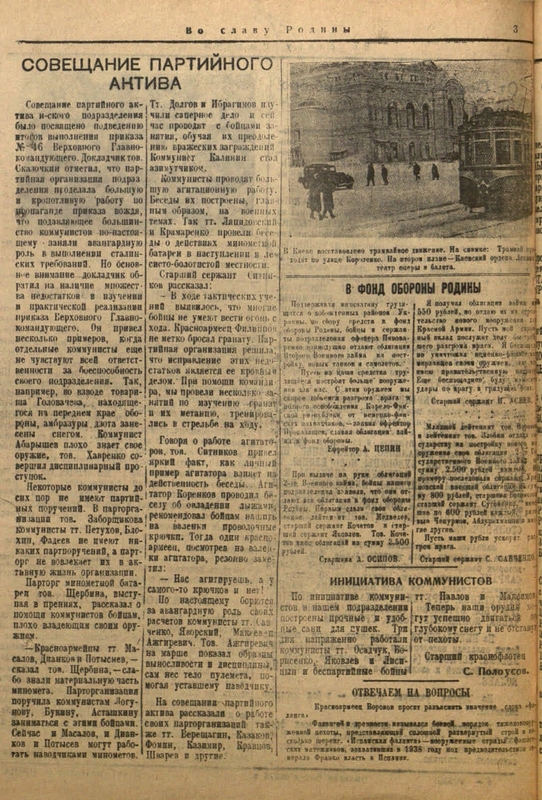 Military newspapers.